After volume 1 (ED 20951) and volume 2 (ED 20952) of the textbook, the playbook 1 now appears with many beautiful songs and pieces for teaching and playing music together at home or during auditions. The degree of difficulty of the pieces is adapted to the progression of the school volumes. 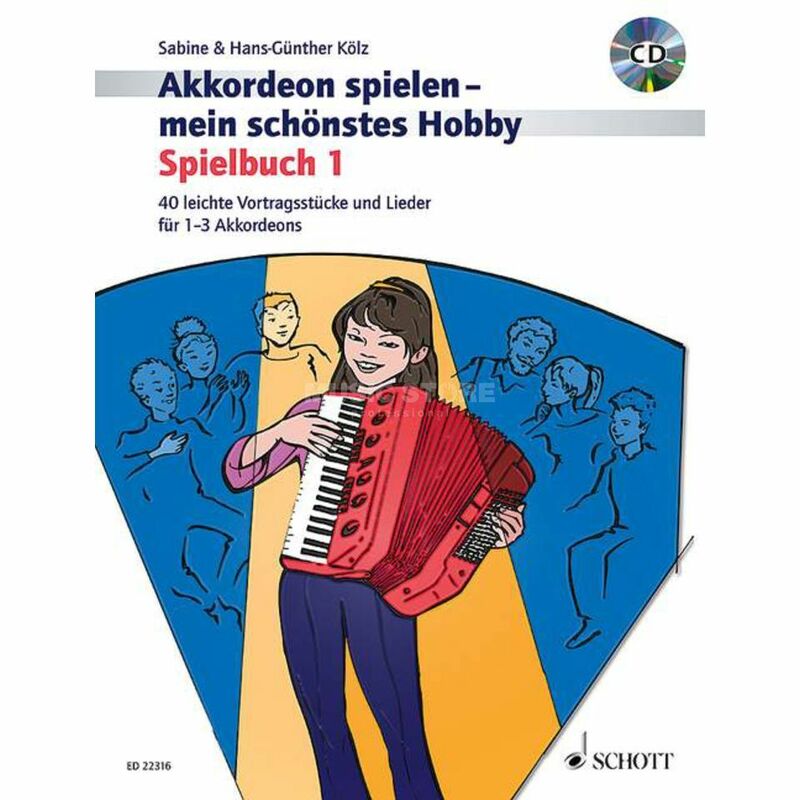 Many songs have an accompanying voice for the teacher or other accordion players. The enclosed CD motivates you to practice and play and serves as an acoustic learning aid. Itsy-Bitsy Spider Rock "The Web Song"
The Accordion gets the Blues!